Commercial real estate values and demand are often tied to a city’s infrastructure. 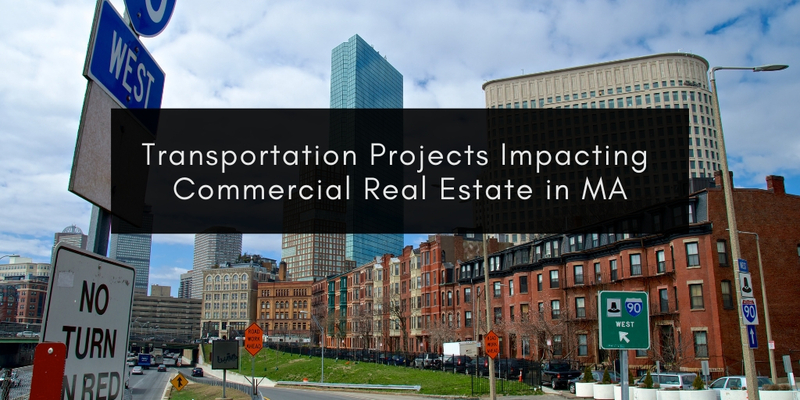 As an investor in Massachusetts, staying up-to-date on both short and long-term transportation projects impacting commercial real estate in MA can help greatly with investment decisions. Here’s a look at several capital improvement projects that will positively affect commercial real estate in and around Metro Boston. A new lane will be added to the section of I-95 that spans from Randolph to Wellesley. If you have driven this road lately, you have probably seen work underway for quite some time now. This $350 million project is scheduled to be completed this spring. This should alleviate traffic in the area and make commercial real estate in the surrounding communities more accessible and desirable. A $2.3 billion project will extend the Green Line into Somerville and Medford. This will increase the appeal of commercial properties within that service area and even beyond, not to mention areas already served by the Green line. Somerville and Medford have experienced significant growth over the last 10 years. This improvement will only further boost commercial real estate in those communities. Directly in Boston, there are many capital projects included in the 2019 fiscal budget. According to the city’s website, 2019 capital improvements will focus in large part on roads, bridges, and sidewalks. These transportation projects will increase access to the city, making commercial real estate within the city more desirable. According to STIP, many transportation improvements are also planned at the state level. This includes improvements to bike paths, bridges, roads, sidewalks, and public transit. Click here for details on approved statewide projects. If one of your investment goals is to target areas outside of Boston that are up and coming, this report may help you identify areas of interest. At ABG Realty, we work in many communities both inside and outside of Boston. We can help with evaluating different areas of the state and selecting opportunities that help you achieve your goals. Contact us today to schedule a consultation.